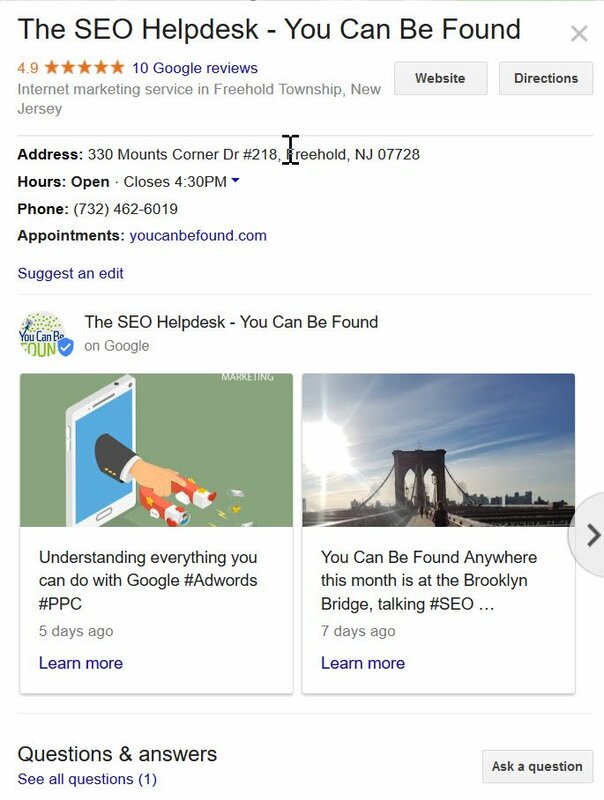 Google’s recent addition of Google Posts for your local business page has provided small business owners with yet another tool to help them stand out from their competitors in local search. 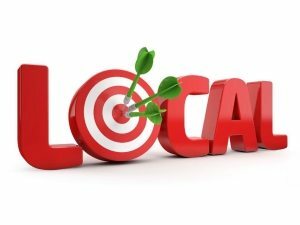 As one might expect, recent research has shown that simply taking part in Google Posts can improve your local search rankings. As Google often tries to give value to their offerings, and also increasingly tries to offer searchers everything they need without leaving the search result page, it makes sense that posting would be rewarded not only by Google, but the extra information you provide, expands the space and information you are able to provide users to your listing in the search results. With your input, we will sculpt posts for your business based on your service offerings, and what is going on with your business. Content will be shaped to enhance your offerings. Google indexes these posts and the words you use show signals of relevancy for terms you may show up for in search. Businesses that may not have a perfect match for their business category in Google have a great chance to underscore their core services through Posts. If you would like to add on a review management tool for another $99, you can help take care of all of another important piece of your local ranking puzzle, and still be spending less than $200 per month. Just mention our great review management tool when we talk. As with all of our search offerings, we make sure to keep up to date with the latest trends and changes in the world of search. As studies and data are still coming out about Google Posts, we will keep up to date and make sure we include new information that helps your business. Jeremy attends SMX Advanced every year, the best meeting of the minds in the global search industry. He is also a regular attendee and 2018 attendee of Local U Advanced, which focuses only on local search and the cutting edge information on what works best and what doesn’t matter in local search. With the best and brightest in the world on your side, you know you are doing things the right way to move you forward. We take pride in using your budget the best way to move you forward and up in the rankings. 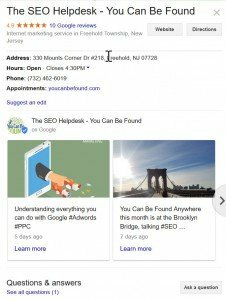 The introduction of Google Posts has given local businesses another tool to use to easily create more local search presence and build your ranking in specific areas when used correctly. We can help manage Posts for you.